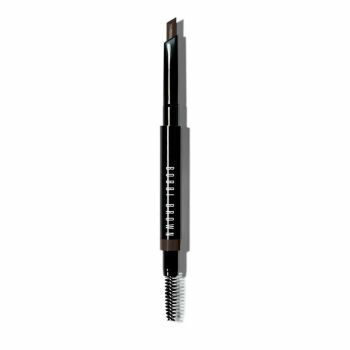 What It Is: An automatic brow pencil with a unique slant tip for ultra-precise definition, plus 16-hour wear that’s sweat- and humidity-resistant and waterproof. Formulated with a combination of waxes and emollients, this long-wearing formula won’t smudge or fade, so brows look fresh and polished. Who It's For? : Anyone who wants defined, well-groomed brows that last for 16 hours. Why It's Different? : The slant tip offers the ultimate customized and versatile application – use the flat edge for a softer look and the pointed tip for a more defined, bold look. A wax-based formula creates a lasting, waterproof and sweat- and humidity-resistant layer of colour. The attached brush lets you comb brow hairs into place, for a look that’s flawless and natural. Available in a uniquely wide range of shades, so every woman can find the right shade for her skin tone and hair colour.